Norway, Lofoten. Kabelvåg village in Vågan municipality on the southern shore of Austvågøy island. 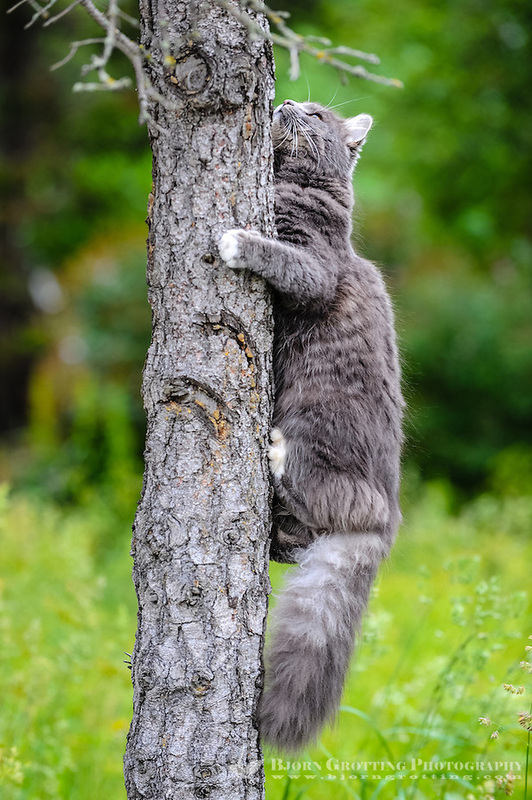 Cat climbing a tree.